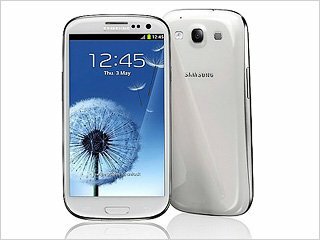 I have been reviewing a Samsung Galaxy S3 for the past few weeks. Most of you know that I am an iPhone user. I also use AT&T for my phone service. The Samsung Galaxy S3 I am reviewing is part of the Verizon Wireless Ambassadors Program, so obviously my Samsung Galaxy S3 is being powered by Verizon Wireless. Now that I’ve given you some background, it’s time to gush. No really…I’m going to gush and it’s not going to be pretty! I love how BIG the screen is. I love how awesome it is for social media (see all the icons up top? Every time I get a new email, @ tweet, Facebook message, etc it pops up right up there). Service is incredible. I can get online wherever I am, at any time. 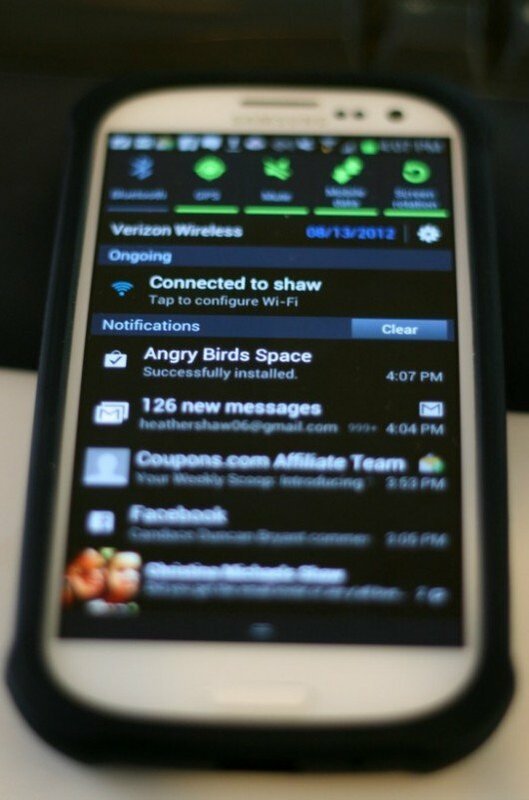 The app screens scrolls like a carousel. Those of you with iPhones know what a pain it is to have to go ALL the way back to the first page! I love that it flows so easily! It’s fabulous for listening to music, watching Netflix and pretty much any kind of media in general. The start up screen is a bit long winded, but sooo pretty that the kids ask for me to turn the phone off and on again so they can watch! I’ll try to do an update every few weeks on it so you can be well informed. Move over iPhone! The Samsung Galaxy S3 is here! I sooooooooooooooo want this phone. I can’t wait until I get one!!! !